Brand X needs no introduction. A seminal band from the mid-70s, featuring such stars as Phil Collins (great drummer but horrible pop star!) and bassist Percy Jones. While the band do not exist anymore, this Trilogy has the reissue of the bands last two studio albums (Manifest Destiny - 1997, and X Communication - 1992) which are out of print, and an unreleased concert from NYC 1979. 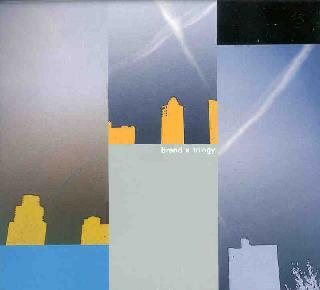 There is a great write up on the bands previous works and history at http://www.gepr.net/bi.html (Scroll down to Brand X). For those who have no idea who this band is, they are a mainly instrumental heavy jazz rock fusion group with top notch players. The fretless bass playing of Percy Jones has inspired a lot of players. I won't describe the previously released albums but focus on the unreleased live concert. The CD features 10 tracks of which only 5 are songs. The rest is sometimes funny chat by the band with the audience. I can't tell you how different it is to this release but the tracks are nearly the same. The CD begins with a jamming 7 minute track ("Algon") which mainly focuses on the synthesizer and guitar interplay. After a band introduction the band kick into "Dance Of The Illegal Aliens". This song focuses on the piano playing and has some great drums and bass. "Don't Make Waves" is clearly the bands attempt to have some commercial success and or a hit at the time. Phil Collins sings and this is a pretty weak song. I prefer the instrumental stuff. Next is the track "Malaga Vergen". It features Percy very prominently. "And So To F" closes the CD. If you are a fan of the 1979 era Brand X and don't own the other two releases, this is very much worth picking up! Contact via snail mail c/o Buckyball Music; PO Box 2034; Radio City Station; New York City, NY 10101.